Cat-coaster. All photos courtesy of Beth Martin unless otherwise specified. 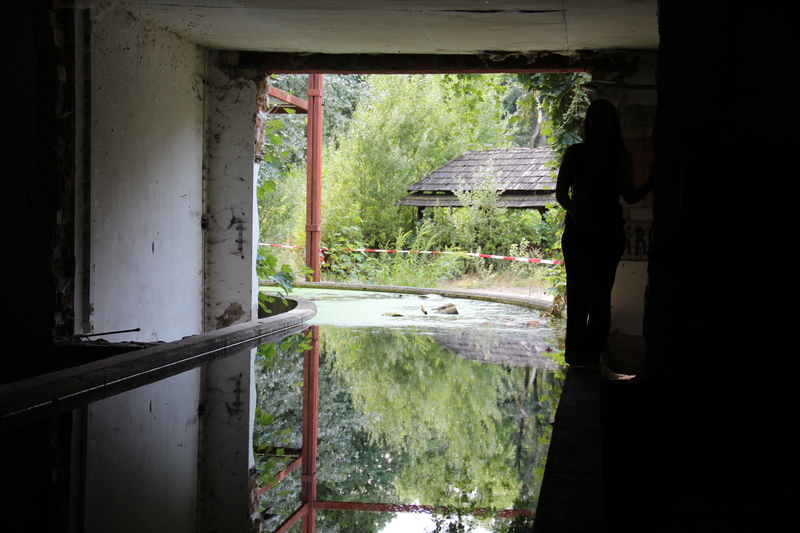 While in Berlin, I toured the Spreepark in Plänterwald, a former amusement park with a fascinating history. Note: Since I don’t understand German and had to have everything translated for me, what follows below may not be 100% accurate. 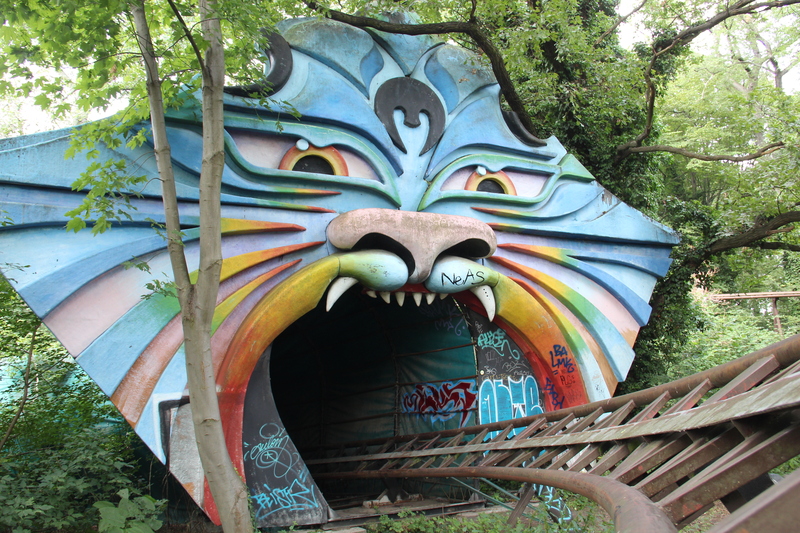 Originally built by the East German government, the Spreepark was a popular travel destination, with 1.6 million visitors every year from both East Germany and the Soviet Union. During their government-mandated vacations, approximately 10% of East Germans visited the park. After the Berlin Wall fell, the park was bought by Norbert Witte, who had supplied parts for many of its rides. He had great ambitions for the park. He installed dozens of exotic plants, engineered an elaborate system of waterways, and introduced new attractions, including a “Jurassic Park” ride. Despite his efforts, attendance dropped after the German government turned the area around the park into a nature preserve, forcing him to reduce the size of his parking lot. With debts of over 20 million euro and attendance down to just 400,000 people annually, Witte’s company was forced to file for bankruptcy. The final blow came when a inebriated ride operator in another of Witte’s amusement parks accidentally killed two people and the company was sued for negligence. Overnight, Witte packed up six of his most expensive rides and made for Peru, not realizing that it would literally take years for the rides to get through customs. When customs finally approved all of the rides, they had rusted away to the point of being unusable. Witte was forced to eke out a living with a few claw machines that he was allowed to install in supermarkets. (I suspect this last part was hyperbole on the part of our tour guide). Eventually, Witte tired of his new life in Peru and resolved to return to Germany. Yet he had barely any money. In a fit of desperation, he decided to smuggle a huge shipment of cocaine back to Germany, tucked away inside one of his rides. He went ahead to Germany to receive the shipment, putting his son Marcel in charge of sending it. Both Wittes were caught after unwittingly confiding in a customs official who had helped to pack up the ride. 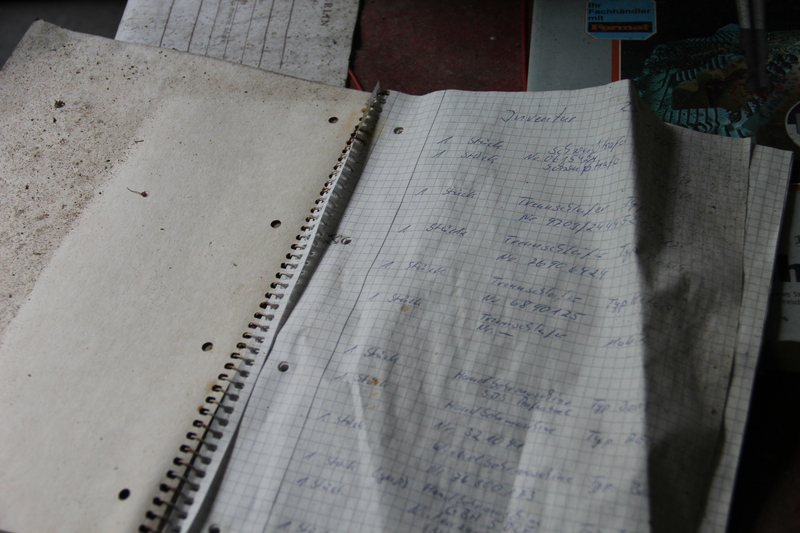 Marcel was sentenced to 20 years in a Peruvian prison, while Norbert was jailed for 7 years in Germany. Today, Norbert lives in an RV on the Spreepark premises, while Marcel remains imprisoned. Meanwhile, the park is up for auction. 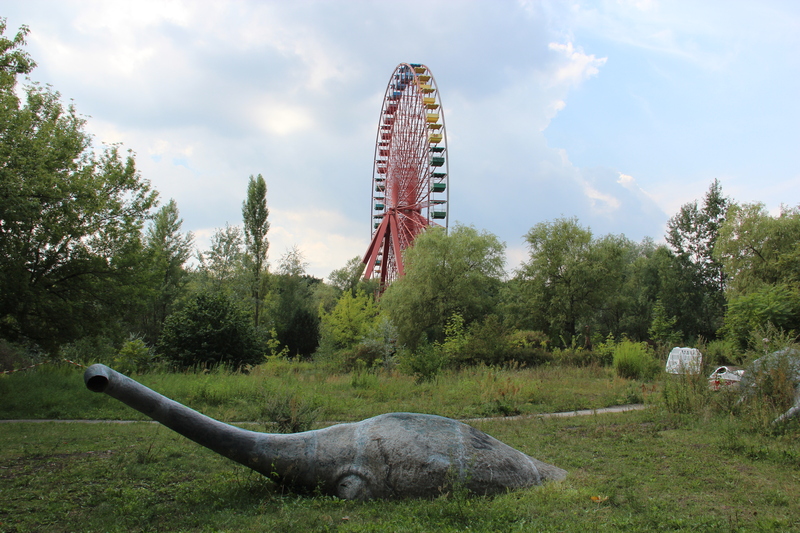 The government wants to turn it into a public space, but the original Spreepark land grant (in 1991?) limited its usage for the next 60 years to amusement parks only. 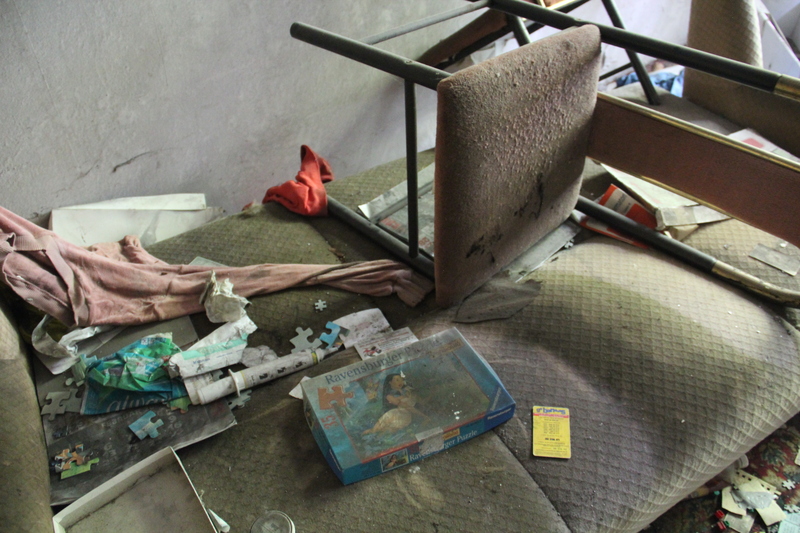 Consequently, there aren’t many bidders, and the park continues to rust away. But at least it’s fun to visit! 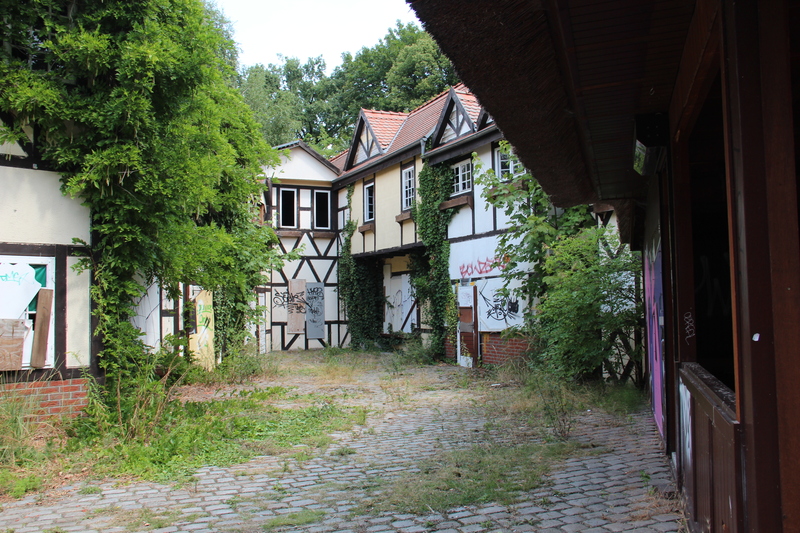 While urban explorers have been breaking into Plänterwald for years, security has considerably tightened now that the park is up for auction. I recommend simply taking a four-hour photo tour with go2know. The tour operators are remarkably permissive once you sign the waiver; it’s possible to climb on and break into just about anything you want. The remains of a water ride. One of the last surviving dinosaurs from the “Jurassic Park” ride. What looks like a quaint German village. Discarded personal belongings of park employees (or perhaps it was the Wittes themselves). Records in the control room for one of the rides.